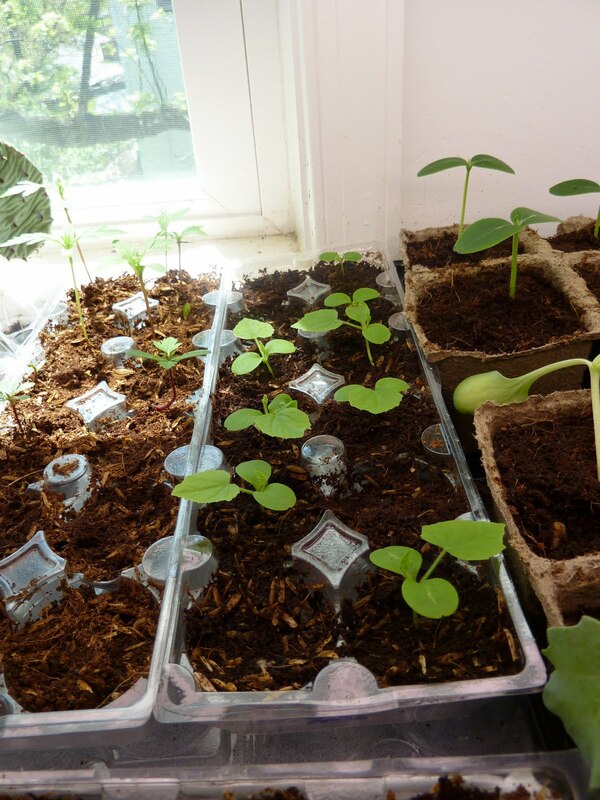 It occurred to me finally that I might have a lot of seedlings in the house (and a few on the back deck). So I counted them. 287. Two hundred and eighty-seven. I do not, mind you, own a greenhouse. And that doesn’t count the several dozen already transplanted to the demo garden, or the seeds I planted this weekend, which are meant to yield another 60-70 seedlings. This seed-starting thing gets addictive. Just warning you. But look! Baby mouse melons! Some perennials start easily from seed, others are more challenging, but I love being able to walk around my garden and point out the ornamental perennials I grew from seed myself (and everyone else paid $9.95 for, just saying). Now, perennial vegetables: I think that’s the subject of my next post. How do you plan to transplant the melons? It looks like the cukes are in plantable pots but the melons are in plastic. I've always heard you have to direct sow them! 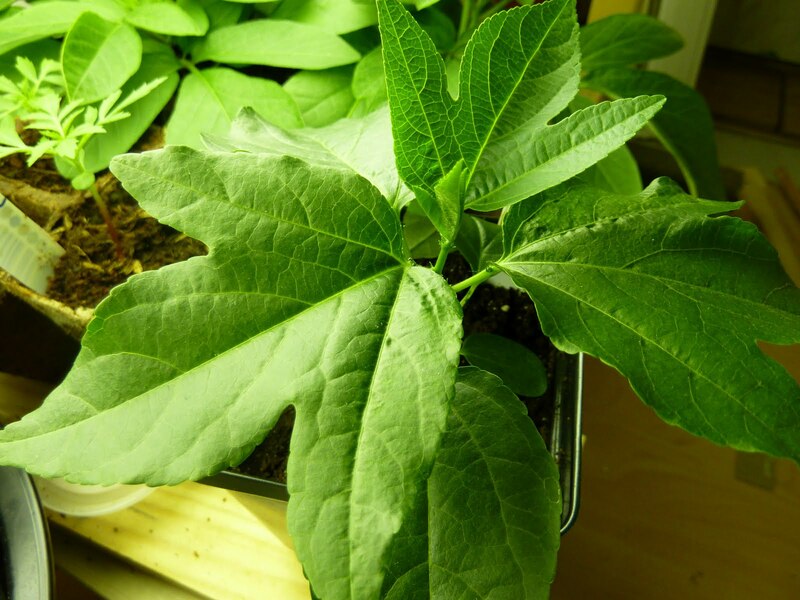 I am experimenting w/ sugar babies and heart of gold lopes starting in pots this year to try to get a jump… we'll see! Well, first of all, mouse melons are not melons; they're more closely related to cucumbers. And since the photo was taken I've transplanted them from the egg cartons into larger plastic pots and they took it just fine. In the past I've put them in the ground out of plastic pots with minimal shock; they're tough (as long as the weather is warm). I do think real melons are better with less root interference (though they could take being started in flats or egg cartons and moved into peat pots, and can be moved from plastic into the soil if you're gentle), but if you direct seed them you get your crop much later. Good luck with your melons!